If one was thinking of places that might be associated with Shakespeare, a list might include Stratford upon Avon, Southwark, Bishopsgate, Verona or perhaps Venice; but Lewisham? However, there is an important link in that it seems that Brian Annesley, Lord of the Manor of Lee, was, at least partially, the inspiration for King Lear. The Annesleys lived in what seems to have been a large moated house, roughly where St Margaret’s Lee, Church of England School is now. 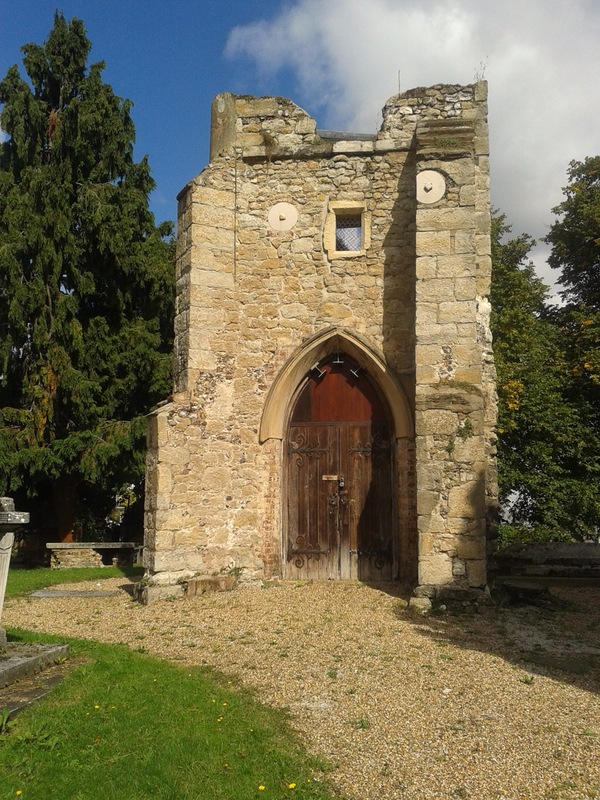 In the old St Margaret’s Church, only the ruined tower remains now on Belmont Hill, there were some memorials to the Annersleys – including Nicholas Annesley, who died in 1593, and his son Brian Annesley was a ‘gentleman pensioner’ to Queen Elizabeth. Brian was clearly an influential man – he was granted a monopoly to ‘buy and provide steel within the realm’ and along with his son in law John Wildgoose, was granted the Manor of Lee for life in 1597. The events that seem likely to have influenced Shakespeare came at the end of his life. Brian Annesley’s will of 1601 passed his estate to his youngest daughter Cordell, two years later she took charge of his affairs as he started to suffer from serious mental health issues. His two older daughters, Grace, the wife of John Wildgoose, and Christinna contested the will suggesting that Brian Annesley was ‘insane’ when he made it. Cordell successfully defended the case on her father’s behalf. The older daughters also, unsuccessfully attempted to have their father committed but after the intervention of Robert Cecil, a minister of James VI & I, he was not committed and lived his last few months be cared for by a family friend. This case was a ’cause célèbre’ around 1603 and 1604 and even if Shakespeare didn’t keep abreast of news he would probably have known about it anyway as his friend and patron was the Earl of Southampton. Southampton’s step father, William Hervey was a friend of Sir Brian and also the executor of his estate. It would be wrong to suggest that the tale of Brian Annesley was the only source for King Lear; there had been the story of King Leire told in Geoffrey of Monmouth’s less than reliable “Historia Regum Britanniae”. 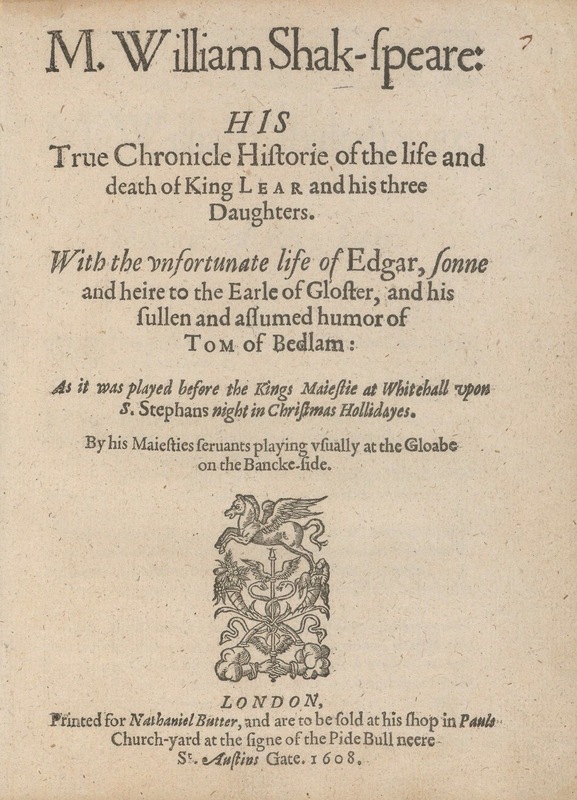 This tale in turn had been turned into a play, King Leir, around 1594 by an unknown author, and there have been suggestions that Shakespeare may have acted in it. However, the timing of the first performances of King Lear, and the re-publication of King Leir both happened around 1605, the year following Brian Annesley’s death, would suggest a linkage at the very least of jogging of Shakespeare’s memory. At least with the real life version of events there was a relatively happy ending for Cordell, Lear’s Cordellia was hanged, but Cordell won the legal battles and married William Hervey two years after her father’s death. This entry was posted in Lewisham History, Literary Lewisham and tagged Brian Annesley, King Lear, Manor of Lee on September 25, 2014 by Paul B. Interesting! I have been taking photographs at the Church to learn about my new camera! Have you considered joining London Historians? Thanks! The churchyard is very photogenic isn’t it – I was there again earlier in the week. I was thinking that perhaps I ought to join a historians group of some sort, although I don’t really see myself as a proper historian, just someone who dabbles a bit. I gotta start taking notes for my next trip to London. Well you know where to start, in the event of needing somewhere other than the normal tourist sites….Hope tomorrow night goes well. Fascinating read, thank you! I love the old tower of St Margaret’s – I used to live not far from there and spent many a moment at the bus stop peering into the graveyard where it sits. Isn’t Edmund Halley of Halley’s Comet fame buried there? I’m glad you enjoyed it! The old churchyard, particularly the ruined church, at St Margaret’s is lovely, but so easy to pass without noticing, apart from the top of a bus. You are right about Edmund Halley, oddly I photographed his tomb earlier in the week for a post I’ll do in a few weeks. There are a couple of other early Astronomers Royal buried there too – John Pond and Nathaniel Bliss. good stuff. that church looks shocked! It certainly does! It was replaced in the early 19th Century, but the replacement had to be replaced due to subsidence, I think, about 40 years later. Thanks for providing some of the background to one of the most tremendous plays in history! You might enjoy watching this discussion of the play and man’s dual nature. The YouTube channel also seems dedicated to producing Shakespeare content in general. Thanks -will give it a watch later.